Reflecting its aim to expand into a wide range of business fields not limited to games, BANDAI NAMCO Entertainment changed to its current name from BANDAI NAMCO Games in 2015. 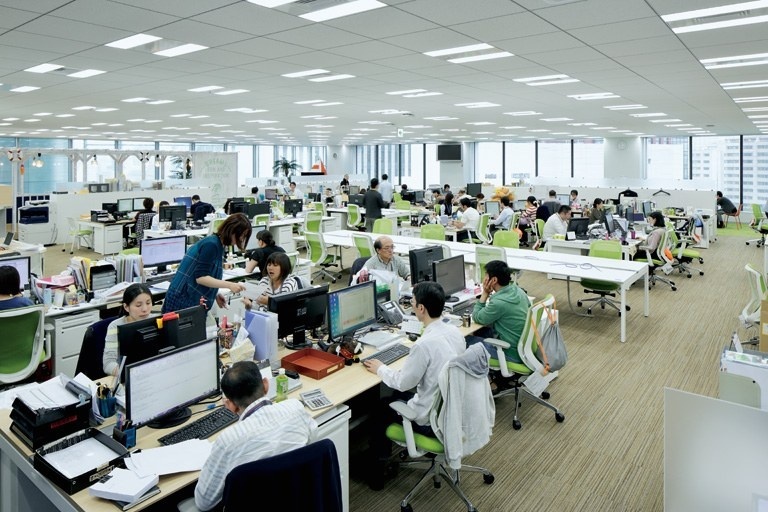 Proceeding simultaneously with this, the Mirai-Kenkyusho relocation was positioned as a major change project with the goal of increasing business efficiency through the strengthening of communication and horizontal organizational collaboration. 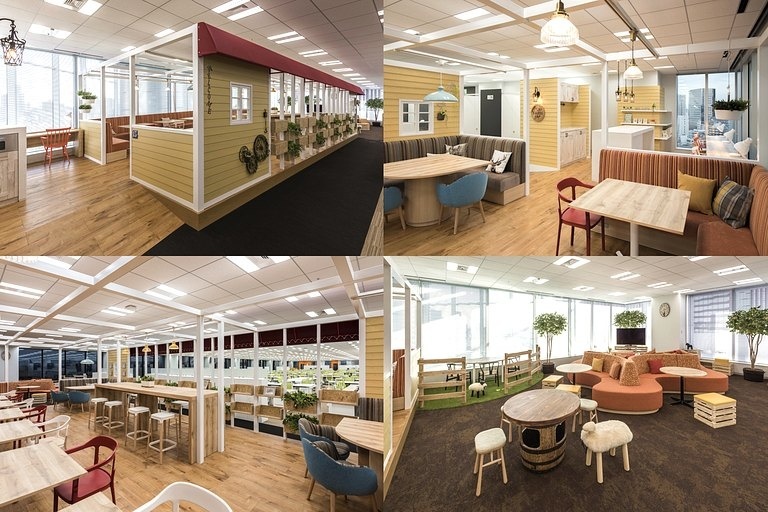 The office concept was defined as "Exciting communication office," and employee opinions were gathered under a policy goal of "wanting to create a fun office that would stimulate employee communication." 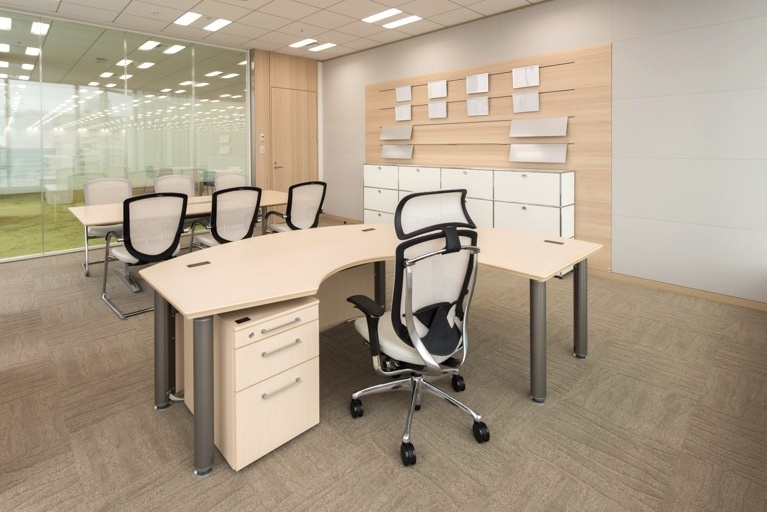 For the work area, an alternately crisscrossing desk arrangement was used to promote face-to-face interaction via various crisscrossing lines of sight. 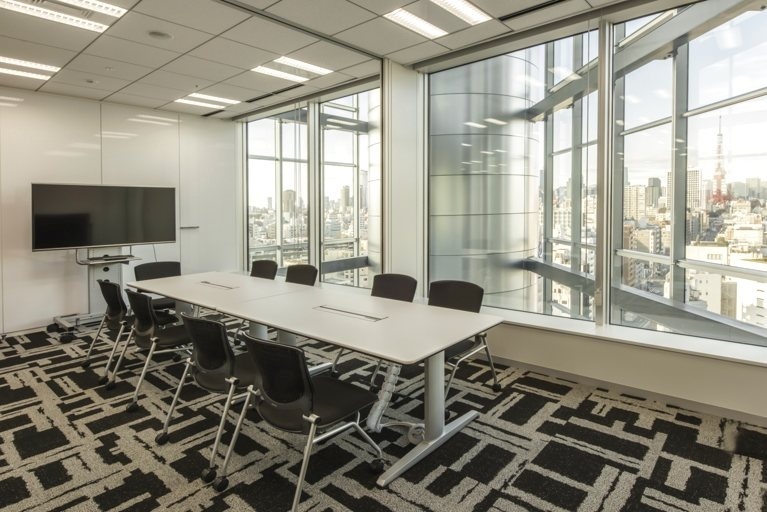 Bordering the work area, along the west-side windows there is a multifaceted open meeting space that enables people to move around and quickly select an area to match their intended use and mood. A communication space incorporating a pantry function has been established on each floor using a different theme in each case. 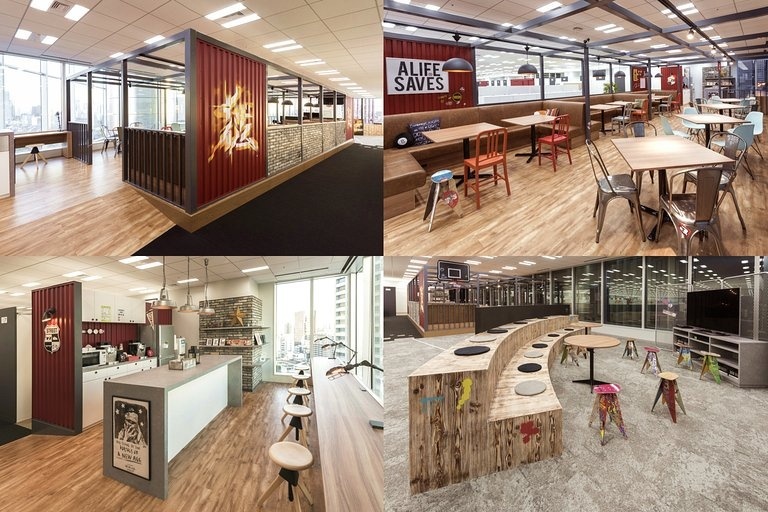 They have come to be used as multipurpose spaces, and, featuring objects also coordinated with the overall design, they express a playful spirit worthy of an entertainment company. 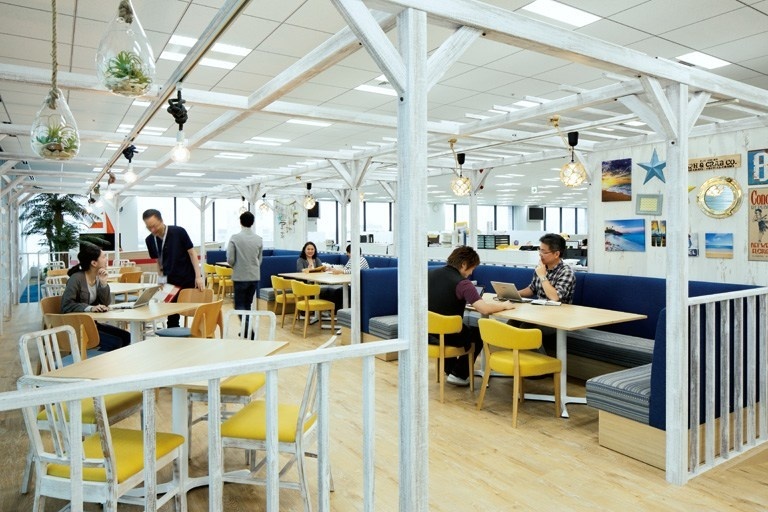 Different drinks are offered on each floor so these spaces have become regular destinations for workers from other floors. Work areaA crisscross desk placement spurs casual communication. West-side communication areaDiverse shared spaces can be selected to fit usage and mood. 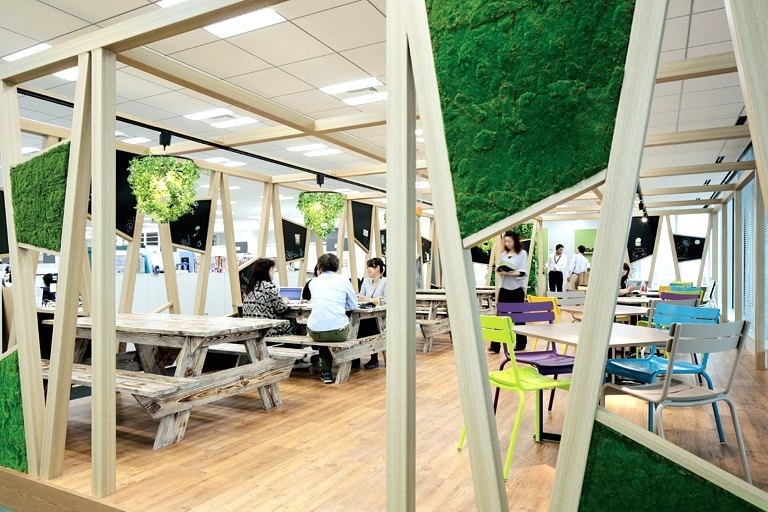 8F Communication space／BEACHThe interior creates an open and refreshing beach scene. 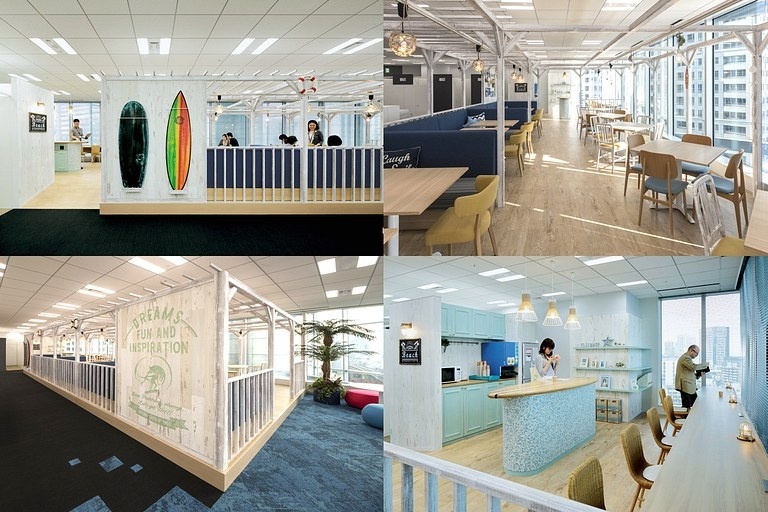 8F Communication space／BEACHA casual interior with a "Surf House" motif. 8F Communication space／BEACHStair-like discussion corner with a "boat floating on the sea" motif. 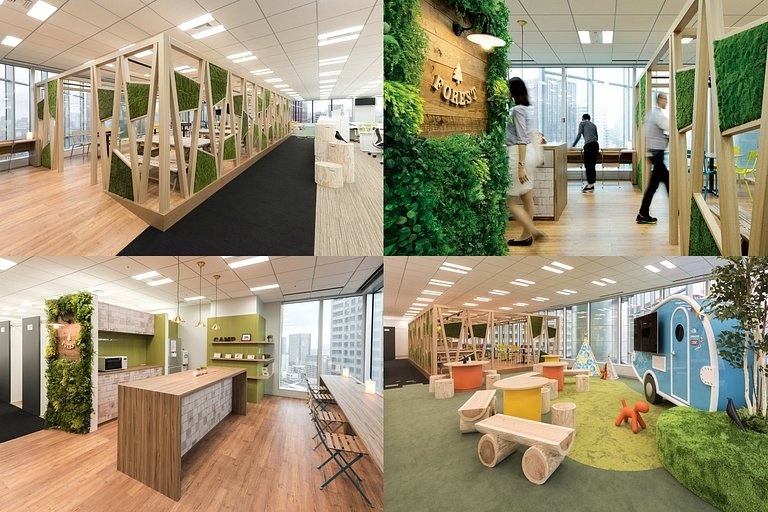 9F Communication space／FARMA healthy atmosphere nurtured by the bounty of earth and sun. 10F Communication space／STREETA slightly wild entertainment creation space. 11F Communication space／FORESTA healing picnic scene surrounded by green. 11F Communication space／FORESTAn outdoor atmosphere created with picnic benches, etc. 8-11F EntranceA distinctive entrance combining the themes of each floor. 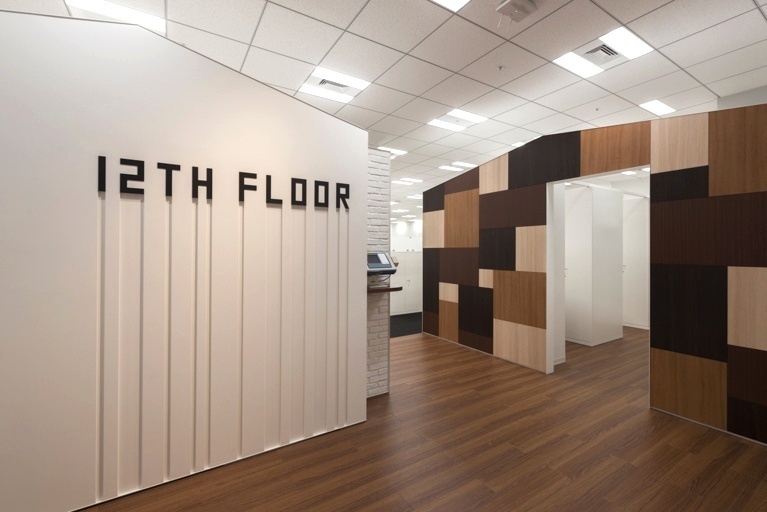 12F Entrance／CASAThe executive floor features a tasteful design with a "home" motif. 12F Communication space／CASAA stylish interior where a relaxing teatime can be enjoyed. President&apos;s officeOpen fixtures create a sense of unity with the work area. 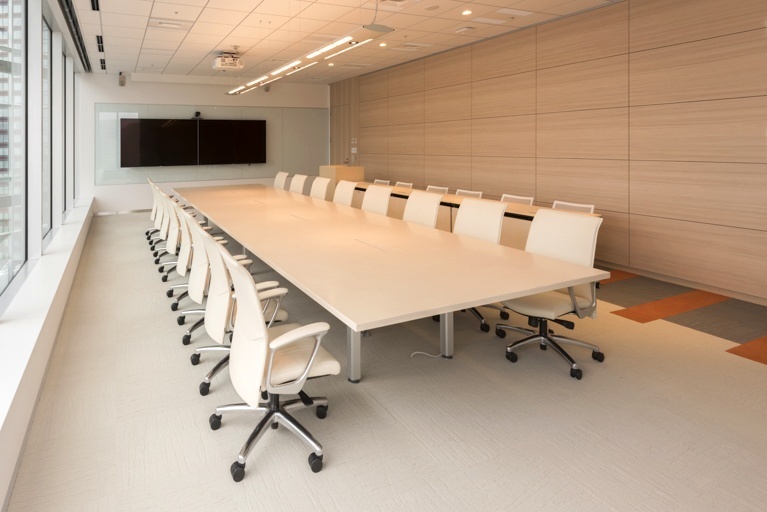 Executive conference roomThe space creates an elegant impression with bright woodgrain and white. Meeting roomA comfortable meeting room with a view of Tokyo Tower. 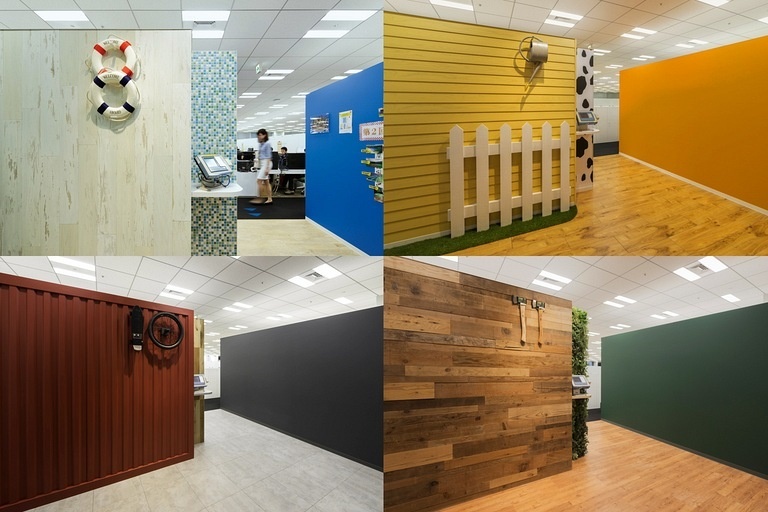 Okamura provides interior design services for more functional, more effective offices to clients in a full range of industries.